A menu of Chef Mai’s specialties in each dining hall. For those without meal plans, tickets will be on sale at the door. 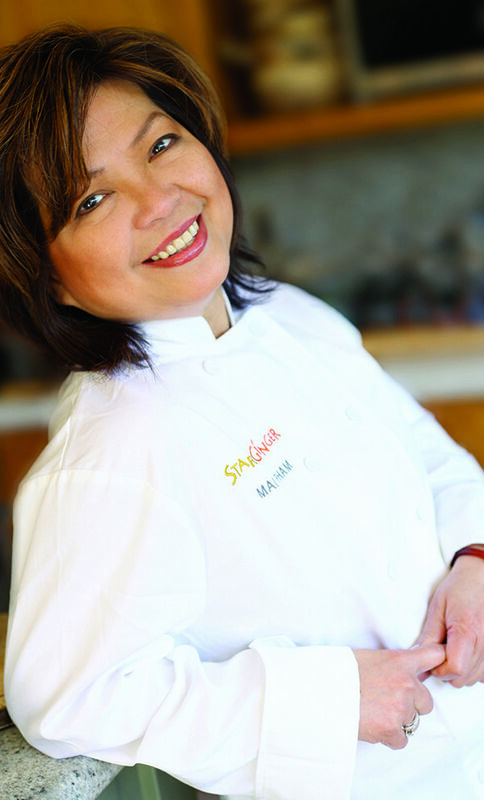 MAI PHAM is the chef/owner of the nationally acclaimed Lemon Grass Restaurant and Star Ginger in Sacramento, California. A recognized expert on Asian cuisine, Chef Pham is known for her fresh Southeast Asian cuisine featuring the bright flavors of Vietnam, Thailand and beyond. This January, The University of Notre Dame welcomes Chef Pham and her Star Ginger restaurant in the new Duncan Student Center. Chef Pham is the host of TV Food Network’s “Vietnam: My Country, My Kitchen” and author of Pleasures of the Vietnamese Table, which received a James Beard Award nomination and named among the best cookbook titles by The New York Times and the Los Angeles Times. She’s been featured by numerous national media including NPR’s Fresh Air, CNN, Bon Appetit and Martha Stewart Living. Her latest book, Flavors of Asia, is a collaboration with The Culinary Institute of America and features the best recipes from seven countries in Asia. Born in Saigon and raised in Vietnam and Thailand, Mai and her family fled to the U.S. in 1975 after the end of the Vietnam War. After graduating from the University of Maryland with a degree in journalism, she worked as a television reporter for ABC News affiliates and later as a speech writer for a California governor before returning to her love of food and cooking.